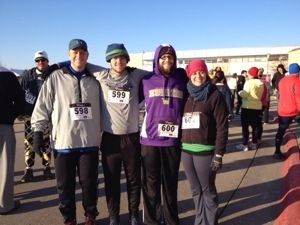 Chris, Jordan, David and I ran in the 41st annual Turkey Trot in Dubuque, Iowa on Thanksgiving day. 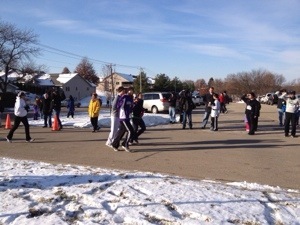 It was not warm, about 18 degrees F, but it was not windy so that helped. Plus the sun was out so it actually wasn’t too bad. 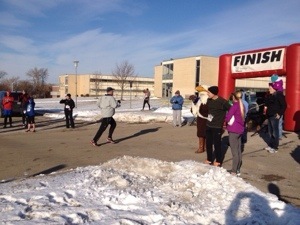 The course was a challenge. The first 1/2 mile or so was essentially all downhill – easy. Then there was 1-1/2 miles of flat – not too bad. 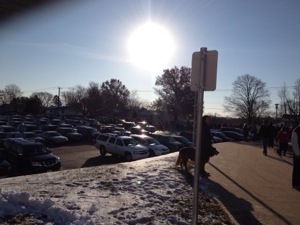 But then the last 1/2 mile or so you had to get back up to the finish which meant… yup – a massive hill right at the end. Every runner did not enjoy that hill. 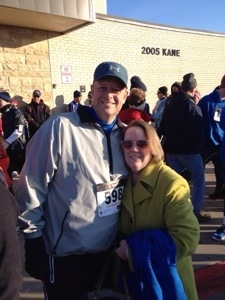 But, I am so happy to have run this fun run with my family and quite a few Dubuque friends as we’ll. Good job everybody! Susie is glad she can bundle up when it is 18 degrees outside!